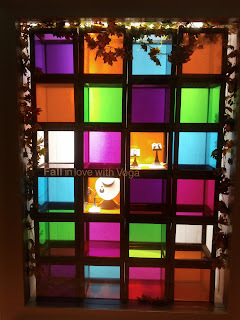 Last Monday, I had posted about Mondial window display that features a simple garden were house concept. I thought that the second boutique at Plaza Senayan would have the same concept but the fact is vice versa. 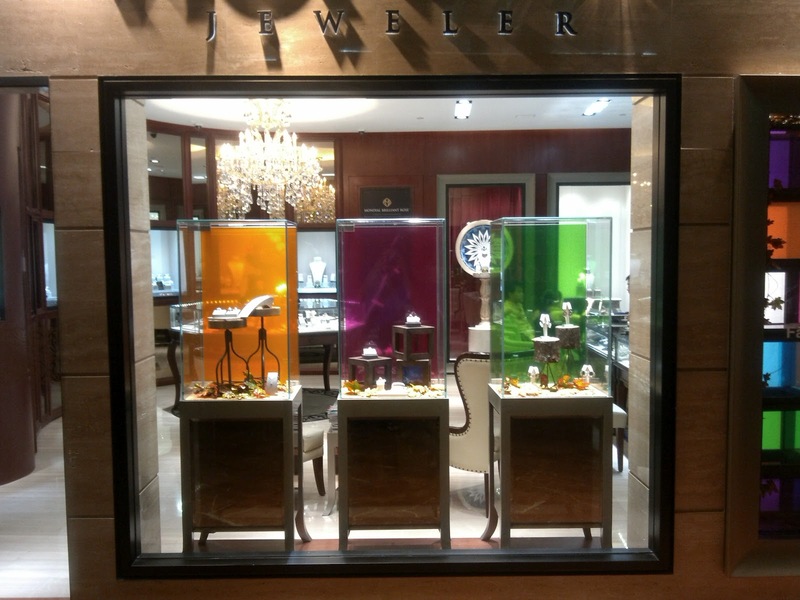 There are still the same colorful-glass-wooden-framed boxes but now they form a big beautiful window that looks radiant and beautiful, thanks to the lighting that comes from inside the boutique. The ivy leaves grow crawling and framing this beautiful glasses. The jewelry showcases also have the colorful background that very dominant toward the items displayed. Wonderful !